This is my post about New Year House Goals and Home Resolutions. If you can’t see the video, click here. In January we look at what is broken, wonky or missing and set goals to put these right. Your castle needs to play a big part in the success of that resolution. If you feel out of sorts when you’re in your own domain it’s unlikely you will be able follow through with new plans. This is why doing an audit of your home space is really important to make the year ahead the best one yet. Call it your New Year home resolution. We go on the rampage through our kitchen cupboards and work out what needs to go and what needs to be better to help our waistlines. Do the same throughout your house, to see what’s affecting your mood, health and efficiency. Go through every room in your home and really look at every inch of it. Write down anything that just doesn’t feel quite right and what you could do about it. If you have made goals for the year, have these in mind as you do this. It may be that you want to start a business so need a decent working space. Is there room for you to do your daily crunches? If getting organised is your aim is there a need for some serious storage? How do rooms make you feel? Is that in line with your plans for 2018? If not, what needs to change – is it the colour or maybe just the layout? The mood your home puts you in is vital to your success. 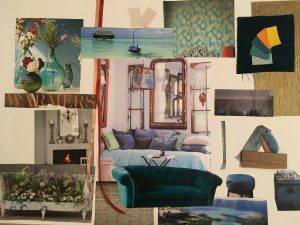 If you are going to change things drastically, a mood board is paramount. As you put this together, ask yourself is the mood board you’re creating in harmony with the mood you want to have in 2018? Once you have your ‘To Do List’ complete it’s time to put a strategy together. This must include plenty of research for the more complicated tasks. 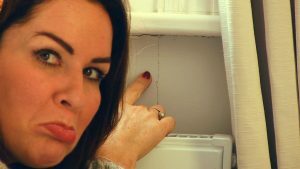 If there’s any DIY involved make sure you know what you’re in for and put more than enough time aside to avoid frustration! Your research can involve internet searches, local DIY shops, but don’t forget friends and relatives who might be more than happy to give some clues. The one thing I have learned, usually in a state of tiredness and high emotions, is that having the right tools is key. This doesn’t mean you have to go out there and invest your life savings in a van load. There are some smaller items that could be useful to have, but ask around to see if anyone has what you need and is happy to lend it to you. If you borrow from a few people keep a list, so you can return them promptly. You never know when you may rely on their generosity again! For the larger items, don’t forget you can often hire these for the day, weekend or week(s) depending on the job. If this is likely to be a one-off project it’s certainly not worth having a cement mixer kicking around the house!!! You can go to somewhere like HSS to hire most larger items. If in doubt screeeeeeam ‘help’! One thing I have certainly got better at over the years is delegating, or at the very least asking for help. There are times when it can get a bit too much and having a friend to lean on is crucial to getting it done. If there is someone you feel could lend a spare pair of hands, particularly if they are more experienced ones, don’t be afraid to ask. All the way through though remember to visualise the end result and what that will mean to your mood when you’re relaxing at home, as it will all be worth it. Happy New Year everyone! Let’s make 2018 the best one yet!!! Here’s one of the mood boards I’ve put together in the past to give you some inspiration.